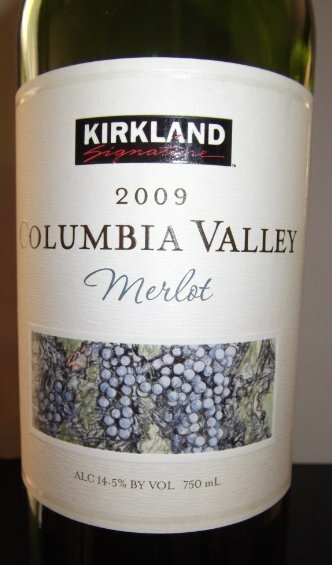 Continuing with our delicious Italian restaurant samplings, today we review a 2007 merlot from Washington’s Columbia Valley that Bertucci’s sells for $8.25 a glass / $32 a bottle. It was paired with their Garlic & Herb Roasted Mushrooms and Warm Assorted Olives. OK this wine caused a stir — everyone at our table loved it, almost couldn’t get enough of it. Like most Washington merlots, it’s on the sweet side. But then there’s that leather. Blackberry. Spice. Licorice. And a touch of oak and black pepper. 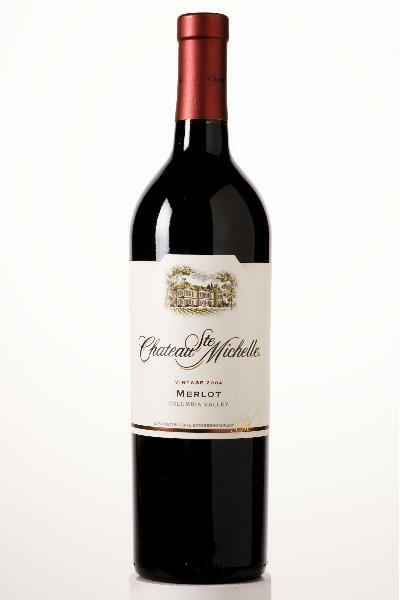 By itself, Chateau Ste Michelle merlot is good but not perfect, with a bit of harshness. But with food, it’s a different and much better story. Our hosts paired it with a fascinating dish: roasted mushrooms and warm Mediterranean olives. I don’t know where Bertucci’s is sourcing these items, but somebody in that organization deserves a gold medal. Absolutely delicious and original. And, a drop-dead perfect pairing with this merlot. I am jonesing for a repeat of this course! This kicks off a series that will review various popular wines that are sold at Bertucci’s. These brick oven-style Italian restaurants on the east coast have a warm, modern atmosphere, open kitchen and a “dim the lights” feeling of class. Manager Chad Phillips and culinary manager Michael Cropper in Christiana, Delaware treated us to their newest dishes (excellent) and wines (very good or excellent, for the price, with one exception). The evening was gratis, but I returned to buy each wine on its own. In every case, the food improved the wine experience. In one case, the pairing caused a so-so wine to become downright enjoyable. Read on to learn which. Today we review a 2008 merlot from Mendoza Argentina, which cost me $9. 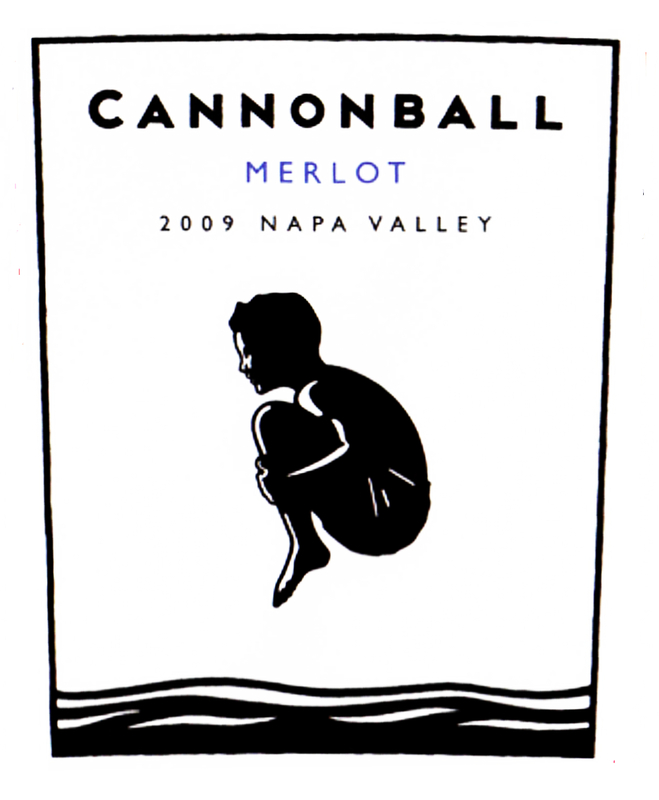 The smooth and soft texture of this merlot is lovely. Its deep, dark ruby red color makes your mouth water. And the label is very classy — at only $9, it looks like a $45 wine. That can help a guy who’s making dinner for his date. However, you’ll want your date to actually drink her wine. Norton is OK, with a cigar-chomping / Anthony Quinn take on the usual merlot taste, but it’s not quite “good.” There’s some Cheap Red Wine taste in there. A little bitter, and hot, meaning you can really taste the 13.5% alcohol. Although it has some nice leather and spicy-hot tobacco, Norton merlot from Argentina isn’t warm, comfortable and merlot-ish enough for me to encourage you to take the plunge. Not recommended. Maybe I should try something from Bolivia.